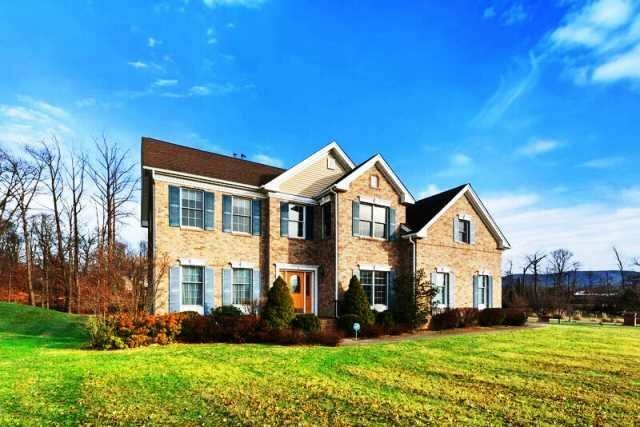 Toll Brothers colonial w/ many upgrades. Walk into a Stunning two story entry with a beautiful curved staircase, den/study, formal living Rm, formal dining Rm, Family Room with vaulted ceilings, a Fireplace & a 2nd staircase. Eat in Gourmet Kitchen w/pantry, maple cabinets, stainless appliances, granite counter tops & center Island. Large mud rm connects from the garage to the kitchen for easy access. 2nd Fl: Master bedroom with a master bathroom, dual sinks, a 6 ft jacuzzi & a separate double shower. Additional bedrooms include, A princess/prince ensuite with a walk In closet, 2 additional spacious bedrooms both connected to a full bathroom with a double sink. 2nd Fl Hallway also has a full bathroom. Stunning Brick Exterior, large level yard and much more. Full walkout basement, 2 car garage. Municipal water & sewer. Home is Located on a cul-de-sac & minutes from I84 & the Beacon-Newburgh bridges and Beacon Metro North Station.